Texas celebrity chef Tim Love is taking on a surprising and expansive new project: creating food for truck stops. Love has entered into a partnership with Pilot Flying J, the largest operator of travel centers in North America, wherein he will create signature food items available at all Pilot Flying J locations across the country. The goal is to provide fresh, convenient food options for interstate travelers. Love will also develop food items specifically for Pilot Flying J's Southwest region locations, focusing on the flavors and specialties that represent the region's fare. The collaboration between a chef of Love's caliber and a major travel center network marks the first of its kind, and seems destined to give travelers a more diverse and notable selection of food. Love, who initiated the collaboration, says in a release that he's thrilled to be partnering with Pilot Flying J. "They truly want to provide a better food experience for their guests," he says. "Our mission will be to create nutritious options that are easy to carry and easy to eat — that criteria tends to be top of mind for most travelers, but hard to come by on the road." Love's career began in a kitchen in Knoxville while he was a student at the University of Tennessee; Pilot Flying J is headquartered there. "I've always been a big fan of the brand, especially their Knoxville roots, and have been visiting locations regularly over the years while traveling," he says. "I thought there might be an opportunity to see what we could do in this type of setting, as it's very different from the dining experiences I usually oversee and operate. There is certainly a need to challenge the status quo for those on-the-go and provide wholesome options." Love will work with Shannon Johnson, Pilot Flying J's vice president of innovation, with the belief that travelers and professional drivers deserve better food options and more variety while on the open road. The company's PJ Fresh concept is based on the fast-casual restaurant idea of delivering fresh-made food to consumers, with everything from green salads and fruit bowls to sandwiches and dinners. Pilot Flying J has more than 750 retail locations, 44 Goodyear Commercial Tire and Service Centers, and 35 Boss Shops. Its network provides drivers with access to more than 70,000 parking spaces for trucks, 4,900 showers, and more than 5,000 diesel lanes. Chef Love's accolades run deep, from outlets that include the New York Times, Wall Street Journal, Bon Appétit, and Food & Wine. 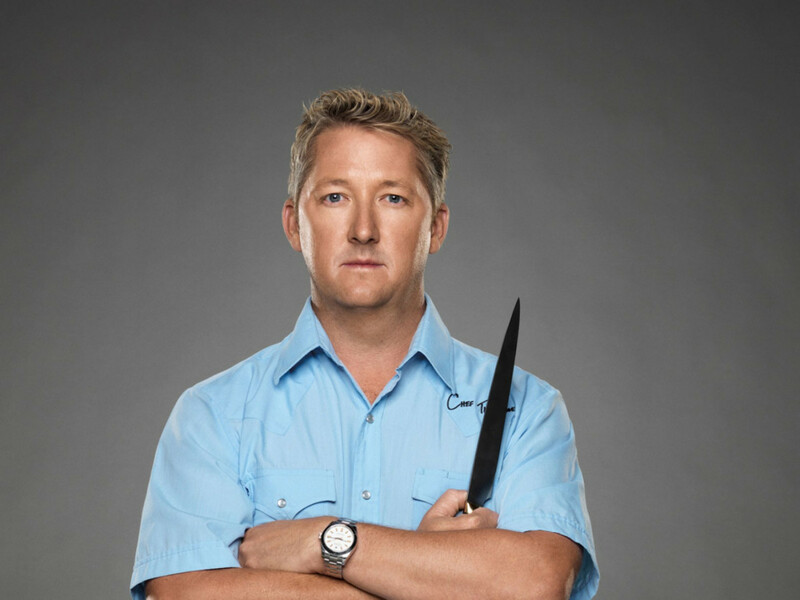 He's a TV favorite, having appeared on Bravo's Top Chef: The Cruise and Top Chef Masters, as well as Food Network's Iron Chef America. And he's been the gracious and deft host of CultureMap's Tastemaker Awards, both in Austin and Dallas. Love, who lives between Austin and Fort Worth, will also be expanding his portfolio to Houston, with three concepts in the works to open at Levy Park, including a second location of his acclaimed Woodshed Smokehouse.